Day four of the World Championships delivered some incredible moments of sublime judo and raw emotion as two judoka claimed their first senior world titles at the Traktor Sport Arena on Thursday. 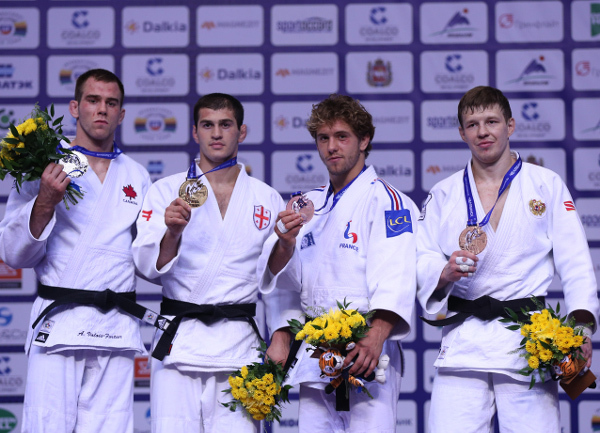 New champions were crowned in the women’s -63kg and men’s –81kg categories as two favourites topped the podium on a day when 105 judoka were in action. France and Georgia clinched their first gold medals in Chelyabinsk as favourites Clarisse AGBEGNENOU (FRA) and Avtandili TCHRIKISHVILI (GEO) won the finest honour of their careers on the biggest stage on the World Judo Tour. Outside the venue fans have enjoyed the Judo Park facilities which have also attracted the athletes and judo legends from around the world. Wednesday’s -57kg gold medallist UDAKA Nae (JPN) had a picture with the World Championships mascot Zhorik and stopped to pose for pictures with a crowd of fans who gathered around her. 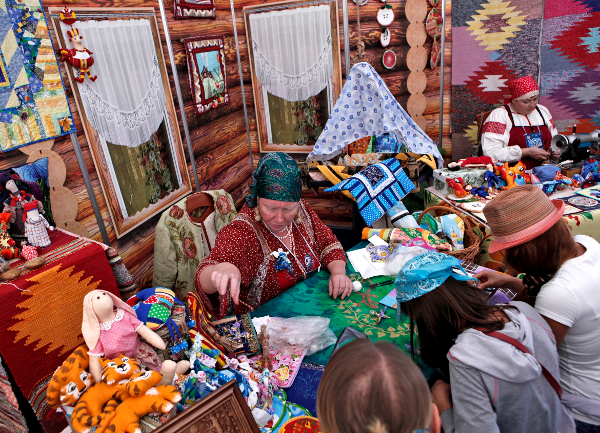 The lively atmosphere in the Traktor Sport Arena was matched by the scenes at the Judo Park which featured a photo zone, a judo square with a tatami for fans to try judo, arts and crafts, live music and a big screen so fans could keep pace with the action. After four days of competition, Japan remain top of the medal table with four gold medals while France had a resurgence today to move to second with one gold and three bronze medals. 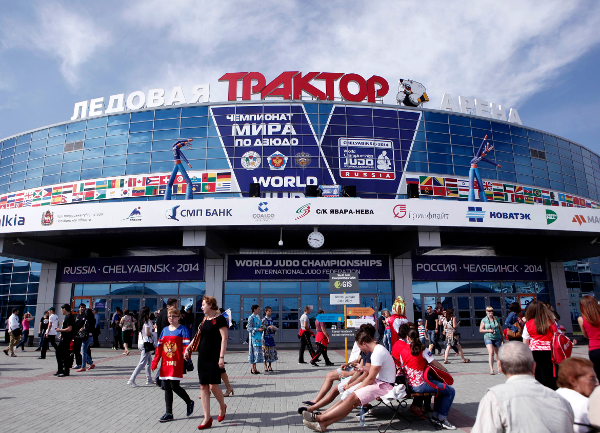 The fifth day of Chelyabinsk 2014 will showcase three categories as the fate of the men’s -90kg gold medal and women’s -70kg and -78kg gold medals will be decided. European champion Clarisse AGBEGNENOU (FRA) banished the painful memory of her 2013 world final defeat to Yarden GERBI (ISR) as she reversed the result from last year to win her first world title. 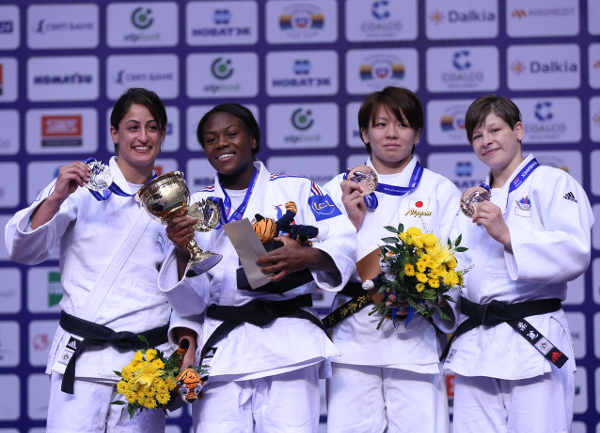 AGBEGNENOU, 21, who has been a leading performer on the World Judo Tour over the last few years, defeated GERBI who had dramatically returned to form today after a miserable 12 months since her Rio victory. 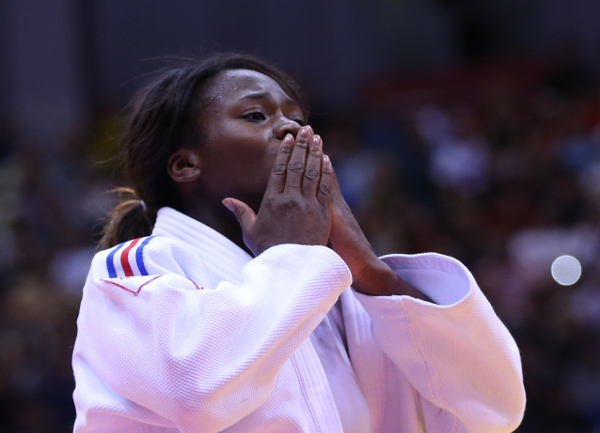 French favourite AGBEGNENOU lost out by shime-waza last year and that served as her motivation this time around as she displayed a steely demeanour throughout the day. AGBEGNENOU burst in front with a koshi-guruma after 29 seconds for a yuko and that ominous show of intent was a prelude to a thunderous ippon which was delivered from an o-goshi a minute later. In the first semi-final GERBI took full advantage of a mistake from former Junior world champion TASHIRO Miku (JPN). GERBI was trailing to a waza-ari score from an uchi-mata after 30 seconds and it looked like she would be fortunate to have a single chance during the four minute contest. The contest was turned upside down when 20-year-old TASHIRO tried to turn her opponent over on the ground but let the reigning champion free a leg and immediately apply a yoko-shiho-gatame for ippon. In the second semi-final AGBEGNENOU had to end the world title hopes of a teammate as Anne-Laure BELLARD (FRA) stood in her way for a place in the final. Veteran BELLARD (FRA) was working for a first major medal but those hopes were extinguished with 90 seconds remaining as AGBEGNENOU scored a waza-ari from a koshi-guruma before pinning BELLARD in osaekomi-waza. The first bronze medal was won by TASHIRO who was underwhelmed when she left the tatami as her semi-final defeat was still fresh in the mind. The Japanese fighter defeated Edwige GWEND (ITA) by going back to the same turnover which cost her a place in the final but this time there was no mistake as GWEND was held for 20 seconds in tate-shiho-gatame. The second bronze medal was won by European silver medallist Tina TRSTENJAK (SLO) who denied BELLARD by throwing the Frenchman with a ko-uch-gari for waza-ari with 35 seconds left. TRSTENJAK showed the improvements she has made over the last year having finished in fifth-place at Rio 2013. 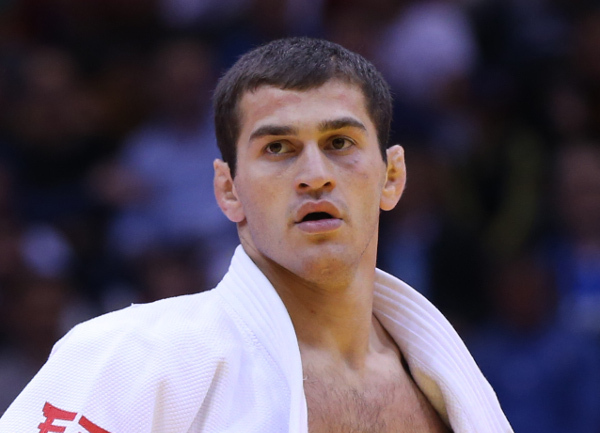 World silver medallist Avtandil TCHRIKISHVILI (GEO) went one better than he did in Rio to become only the second Georgian male judoka to win world gold. TCHRIKISHVILI, 23, who was the overwhelming favourite after dominating the category this year, triumphed in the final against Olympic bronze medallist Antoine VALOIS-FORTIER (CAN). The popular Canadian fighter was lifted up for a huge ura-nage which had height, air time and photographers purring but he did not land flat on his back so only a waza-ari was given. TCHRIKISHVILI was not going to come out second best in consecutive years and kept one step ahead of the Canadian to top the medal podium. In the first semi-final TCHRIKISHVILI had to come from behind to deny world bronze medallist Alain SCHMITT (FRA). The Frenchman scored a yuko from a morote-seoi-nage but tightened up and locked to sit back and protect his lead. TCHRIKISHVILI was handed a place in the final by SCHMITT who accumulated four shido penalties as he infringed for passivity for a final time with 21 seconds remaining. In the second semi-final VALOIS-FORTIER made sure that we would have a new world champion as Loic PIETRI (FRA) – who had narrowly seen off Olympic bronze medallist Ivan NIFONTOV in the quarter-finals – lost out and fell into the repechage. PIETRI was penalised with a shido in a scoreless contest with the most threatening attack coming from a sumi-gaeshi effort from VALOIS-FORTIER attacked with sumi-gaeshi. The first bronze medal was captured by PIETRI who bested 20-year-old All Japan Championships winner NAGASE Takanori (JPN). 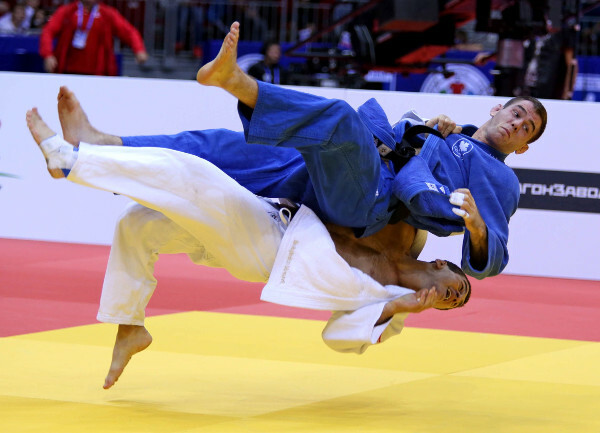 PIETRI countered a bold uchi-mata attempt to roll the Japanese youngster over for a waza-ari score. The performance and his standing in the sport led the appreciative Russian crowd to applaud the result and a second world medal for PIETRI. The second bronze medal was won by NIFONTOV who defeated SCHMITT to thrill the home supporters. A fierce battle for grips continued through the full five minutes with one shido against the Frenchman settling the scoreless contest. NIFONTOV left the tatami to a standing ovation as the Russian flags were proudly held aloft by the sell-out crowd. Russia’s latest medallist hugged his coach and walked out of the field of play towards the mix with their arms around each other as they shared the best moment of the day for the hosts.